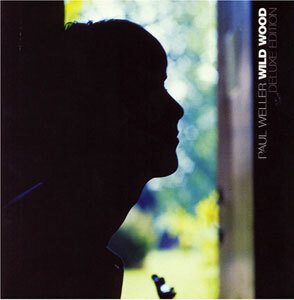 "Wild Wood" Deluxe Gets 4.5 Stars In Paste Magazine (USA) – Paul Weller News! The early ’90s weren’t kind to Paul Weller. At one point wildly popular in the UK through his pioneering work in The Jam, Weller’s following outfit, The Style Council, followed a left-turn into house music that proved a dead end. As the new decade dawned, Weller was considered washed up and spent—artistically and commercially—without a band and without a record contract. So he chose to refocus on the traditional rock sounds he loved most. Although The Jam washed ashore on the tide of the punk movement, Weller and Co. were mod-rockers at heart, with a heavy debt to The Who and other ’60s acts. As a solo artist crafting an independent debut, Weller took on blue-eyed soul and Neil-Young-via-Nick-Drake acoustic rock (the latter a new element for him) as his primary colors. His self-titled solo debut was a grassroots hit, landing him a new record contract and a second life in the British spotlight. Which brings us to Wild Wood’s deluxe reissue, out earlier this month on Yep Roc, which can be properly characterized as essential (for Weller’s sizable UK audience), and educational (for some U.S. listeners). The most important part of the reissue, of course, is the album’s original running order, which will be new to many stateside listeners who, regrettably, never heard any of these excellent songs on the radio. The tracks that garnered attention upon original release were acoustic folk outings like “Country” (which employs 12-string guitar in a way that would make Jimmy Page proud) and “Foot of the Mountain,” but the soulful, horn-laden “5th Season” and the all-out rocker “Has My Fire Really Gone Out?” also turn heads. Right down to the themes of the songs, the album oozes timelessness in every way. There are no topical references that lose impact 13 years after the fact, and no sounds or production choices that, in retrospect, haven’t aged well. (Even Weller’s decision to use an Ian Anderson-esque flute in a few of these arrangements works in the context.) As one might expect, given the history, Weller’s songs are questioning, to the extent of wondering if he still has what it takes as an artist. Given the spirituality inherent in these themes, emphasized in songs like “Can You Heal Us (Holy Man),” it’s not surprising that the lyrics still resonate, and will continue to. As for the bonus material, while a “deluxe” reissue demands its inclusion, much of it is disposable here. Given the sonic perfection of the album’s final form, listening to “demo” versions of most of the songs (recorded live off the floor, by the sound of it, with Weller occasionally calling out “chorus!” to the band) just makes a listener appreciate the work it took to get Wild Wood sounding the way it does. The only exception is “All The Pictures On The Wall,” which takes on a more laid-back arrangement and minute-longer running time in demo form, with horns that are absent in the official version. Other bonus material, including songs left off Wild Wood’s original running order and some live BBC performances, are tasty side dishes, welcome additions from a time when Weller was at an indisputable creative peak. There’s even a Portishead remix of the title track, which wisely adds little more than a trip-hop beat. Weller long ago made peace with his inability to crack America, and now focuses nearly all of his energy on England. (After all, one of his heroes, Ray Davies of The Kinks, has had similar issues.) So while you may have to grab a transatlantic flight to see him live, thanks to this reissue, you don’t have to pay import prices to experience some of the man’s best work. Previous Entry Paul Weller To Play "Exit Festival" In Serbia On July 11,08! Next Entry Paul Weller Page From MOJO’s March Issue!